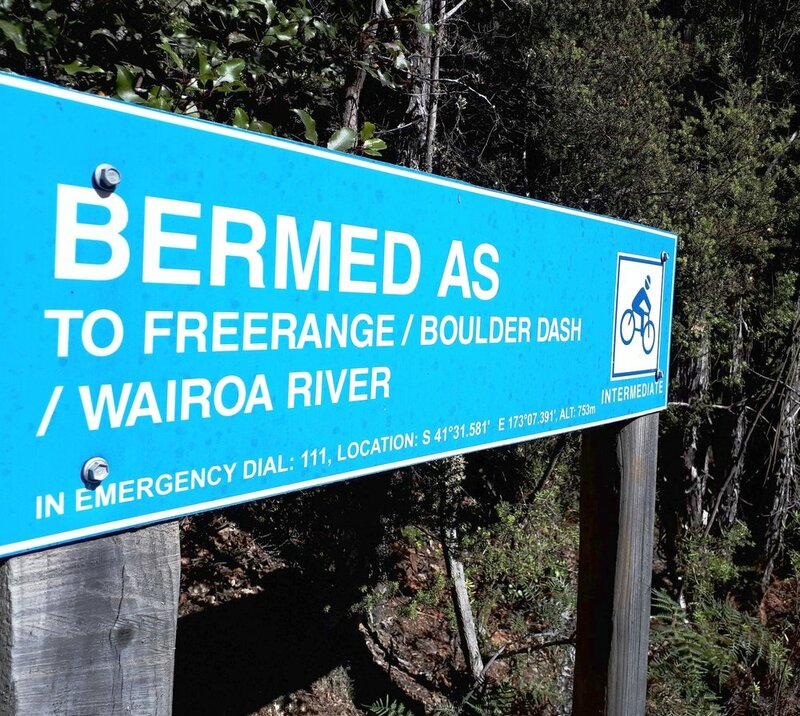 Please note: due to logging in the area you must be at Wairoa Gorge Bike Park no later than 8.00am, we strongly suggest you leave Nelson no later than 7.00am to give yourself plenty of time. Wairoa Gorge is around 60 minutes steady drive from Nelson CBD in the direction of Brightwater/Wakefield. Half of the journey is on state highway and sealed roads – the other half is on unsurfaced roads that have been graded for road vehicles, but are a bit rough. 4wd is not required – but bringing your Ferrari or super lowered Skyline probably isn’t the best idea either. Once you get onto the unsealed roads we have signposted the way at each junction. Keep an eye out for the black and red arrows and follow them right to our gate. If you are a bit early the gate will be locked, so just chill out and we'll be there soon. A visit to The Gorge can be as much about exploration and adventure as it is about blasting laps. To help you work out a plan before you come, here is a list of must have items, and some nice to haves (or click here for a detailed overview). Once you're all in The Gorge we close the gate for the day so please make sure you bring everything you might need, including some spares. * compulsory items – you MUST have these with you to ride at Wairoa Gorge Mountain Bike Park. A typical day consists of up-to six approximately 40 minute runs down hill from two different shuttle drop off points. The shuttle leaves the base of the hill from the Razor Bridge pick-up point in an hourly sequence. It takes twenty minutes to drive up, giving you 40 minutes to get out, get your bike off, high five your buddies and get to the bottom. The shuttle runs to a tight schedule to make sure the day goes smoothly for everyone so please be at the pick-up point on time. There is one stop point half way down the hill called the ‘Quarry’. This gives you the option of doing a half run rather than rushing for the shuttle at the bottom if you want to take your time and relax a bit more. Plenty of our guests mix full and half runs throughout the day. Unfortunately the drivers of our shuttle vehicles aren't permitted to give advice about the trails (which you should ride next for example) due to health & safety legislation – they are only permitted to act as drivers not guides. We know this isn't ideal but we have to stick to the rules. Track choice is totally up to you and it's a good idea to plan your runs before you do them so you can enjoy your runs down as much as possible, and make the most of your visit. Although lunch is a very welcome break, keep an eye on the time so you have time to do a half or full run and still catch the first shuttle after lunch (it's easy to get carried away talking about how awesome the morning has been and taking in the stunning views from the hut deck). It's a great idea to try to eat snacks throughout the day in the truck to keep your energy levels up. For safety reasons (and so we can comply with the terms of our lease) everyone must ride in a group of three or more with two radios (given to you on the day) between the riders. Your tail-end rider should have one of these radios. This helps keep everyone safe and supported. If you come on your own don't worry – it’s easy to hook up with a group of riders that want to ride the same trails as you, and many good friends have been made on a day at The Gorge. The park offers trails that fall into the grade 2, 3, 4 and 5. There are 40 trails to choose from and many link seamlessly into a continuous singletrack experience from top to bottom (a vertical drop of around 1000m, starting at 1200m above sea level, that takes between 20-30 minutes to complete). The signposting is excellent and each trail has been built to be a consistent grade from top to bottom. There are no compulsory hucks or gaps. The forest is made up of thick native beech with small patches of pine plantation so there are lots of rocks, roots and natural features to enjoy. The Gorge drains really well in the wet – so don’t be put off by a bit of rain in the days leading up to your visit, or even on the day. 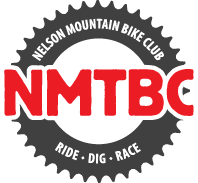 The myth of The Gorge being gnarly, technical, difficult riding has spread in mountain biking circles but don’t be put off by this talk. The tracks on offer are amazingly varied. Whatever “type” of riding you enjoy you will find here and instead of it being a 30sec section of your favourite ride at home, you will be treated to 30 minutes of track that just does not seem to have an end. Everyone is different – some love roots, some love berms, some hate exposure others don’t care. There are two things for sure about The Gorge: 1. we have more trails than anyone can ride in one day and 2. we have such a wide variety of trails and terrain that you will find a heap of trails that are just right for you. If you are new to The Gorge it’s a really good idea to plan how your first two runs will look before you get here. A bit of thought and planning is fun, and will let you relax on the day knowing where you are going, what to expect, and whether you are doing a full or half run before you get the shuttle up.